True devotees of progressive rock understandably have a number of touchstones by which the genre is defined and understood. To be a prog fan means to nod knowingly and smile at the mention of musicians such as Tony Banks or Steve Howe, or of albums like Thick as a Brick or Brain Salad Surgery. These are names in which we find communion. 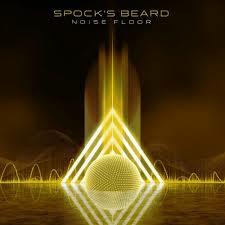 On their 13th album, LA.’s perennial progressive band Spock’s Beard offer up Noise Floor, a captivating and engaging album that essentially absorbs such influences from prog’s pantheon of artists and pays tribute to them without sounding stale or derivative. A bass line might echo the work of Chris Squire, or a splashy Moog or organ figure might scream Keith Emerson, but the songs are very entertaining and simply brimming with spectacular musical ideas. But despite the inevitable references to prog royalty like Yes and ELP, passages in several pieces also bring to mind more underrated artists such as Kansas, Saga, and even the Alan Parsons Project (whose influence is felt on the gorgeous mid-tempo “So This is Life”). There is tremendous variation in tone and feel on the album, but all of the songs (minus the one very deftly performed instrumental) are anchored by big melodic choruses, with the final track, “Beginnings,” even bringing to mind Steve Perry’s finest work with Journey. The set comes with a four-song EP entitled Cutting Room Floor, which features very pleasant but somewhat less musically adventurous tunes more akin to Marillion or Asia, (except for the churning instrumental cheekily named “Armageddon Nervous”). Spock’s Beard is tight and polished, and they play with a confidence and energy that demonstrate their years of experience and reaffirm their well-earned standing as heroes of modern progressive rock. Noise Floor is most certainly a welcome addition to their catalog that will no doubt please fans and new-comer prog-heads alike.